Your children's safety is our PRIORITY! 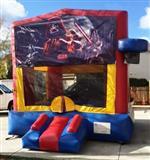 Quality Inflatables at affordable prices! Breif description of your inquiry. Please make sure you indicate the City, so we may properly price your needs.